Secrets of a Pivot Boss offers the most comprehensive collection of pivot-related trading ideas and concepts available to traders. Whether you are a real-time trader, swing trader, position trader, or investor, you will find great value in this book, regardless of the markets you trade or your level of experience. Frank Ochoa has analyzed the market every day over the past 12 years and has cultivated the techniques in this book into a fine art using the best leading indicators available to traders. The concepts in this book will help you become a more knowledgeable and confident trader. Professional traders use tools that are based purely on price, which is a leading indicator in its own class. In this book, we will discover the best leading indicators available to traders, including the Money Zone, Floor Pivots, and the Camarilla Equation. While you may have studied forms of pivots in the past, Frank Ochoa provides a fresh perspective that can only be described as a truly unique approach to playing these amazing levels for profit. You'll learn powerful concepts like Two-Day Pivot Relationships, Pivot Width Forecasting, Pivot Trend Analysis, and Multiple Pivot Hot Zones. Not only will you learn about incredible pivot relationships, but Frank will also divulge his best trading secrets, including Powerful Candlestick Setups, the Types of Trading Days, the Types of Buyers and Sellers, Powerful Setups, and Proprietary Indicators. Taking this a step farther, Frank also provides the actual code to each of the scripts that he's written and covered in the book! 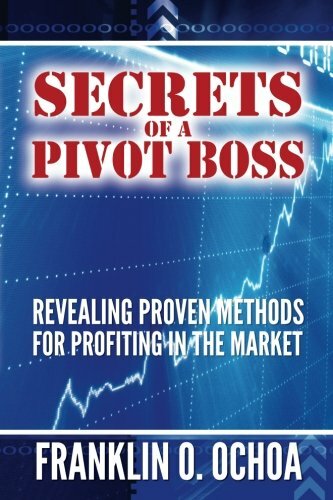 Secrets of a Pivot Boss brings a fresh approach to these powerful concepts that you will not find anywhere else. If you have any questions about this product by Brand: 311 Publishing, contact us by completing and submitting the form below. If you are looking for a specif part number, please include it with your message.